WE HAVE 3 MATCHED SERIAL NUMBER SETS, DEPTH in optics! These lenses are optically excellent and matched while neutral to slightly warm on color temperature. We have 3 complete sets, with very close matching serial numbers and no major color temperature shifts. We also have 152mm Telepanchro, with LATE serial number, allowing for a large 8 lens set for shooting. 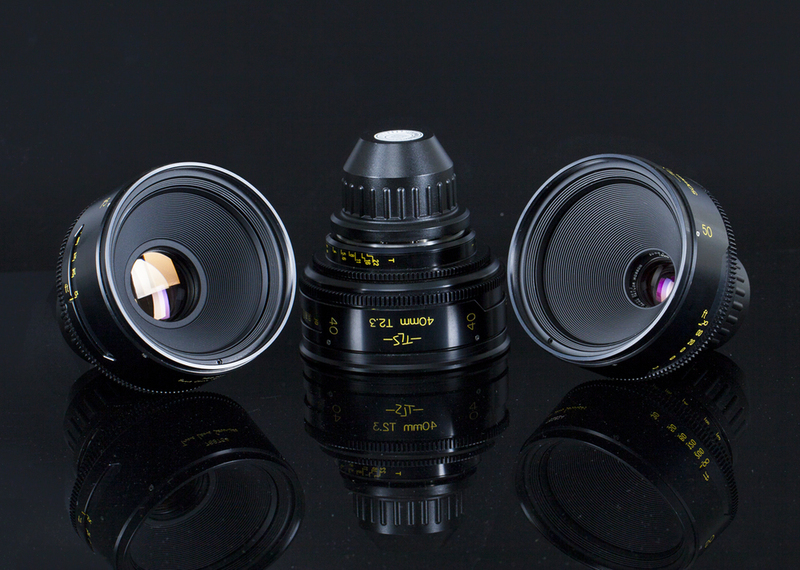 The TLS lenses have a Cam follower design and common 110mm fronts. The mechanical action on these lenses is incredible -- just like a modern S4 lens with smooth and many spaced out focus marks.